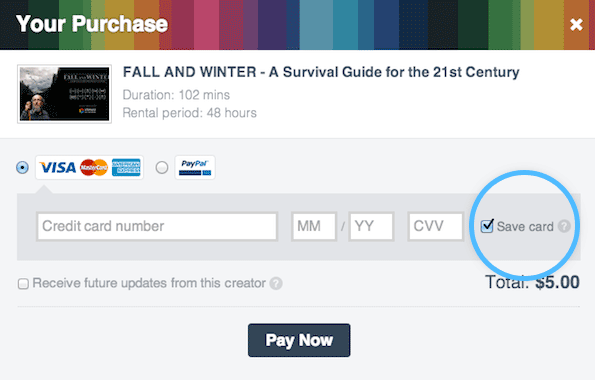 Vimeo today announced an update to Vimeo On Demand that adds content ratings and speeds up the checkout process. Creators can now add content ratings to their Vimeo On Demand pages, just like on Vimeo, so viewers know exactly what they’re getting into. As you can see in the screenshot above, Vimeo On Demand now also lets you save your billing info “extremely securely.” The easier Vimeo makes it to buy content, the more content will be bought, or so the theory goes.